Body Moisturizing Cream Jasmine & Sandalwood Bioaroma was added to your shopping cart. Body moisturizing and firming cream with olive oil, jasmine and sandalwood. 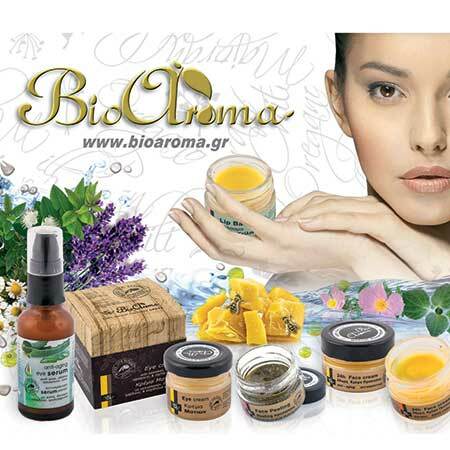 Μoisturizing and firming body cream Bioaroma with olive oil, jasmine and sandalwood. 100% herbal ingredients recognized and fully absorbed into the skin giving deep hydration and velvety texture. Beeswax, shea butter and dittany essential oil in combination with all components firm and care of skin thoroughly. Use: Take a small amount of body cream Bioaroma in your hands after bathing and apply to the entire body and around the breast, always with movements towards the heart. The fragrance seduces and the skin texture becomes silky. * Components of essential oils, 100% natural.